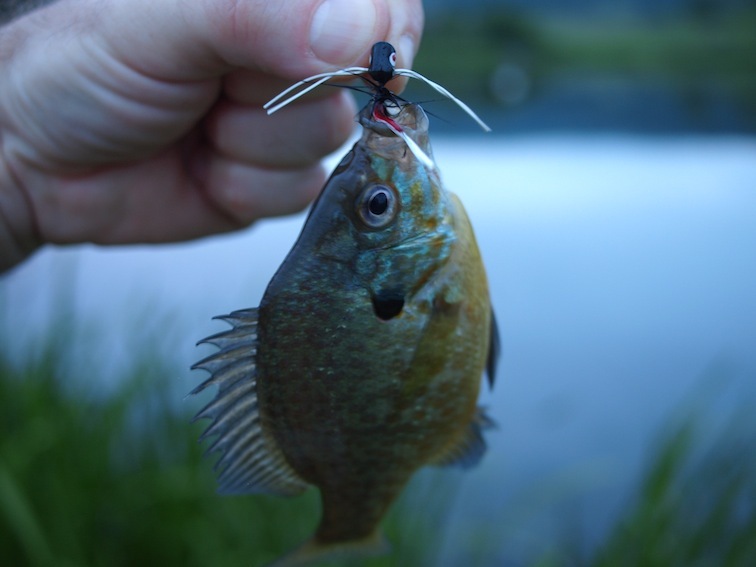 Close enough to summertime for me — throwing micro poppers at bluegills on a quiet pond near home. 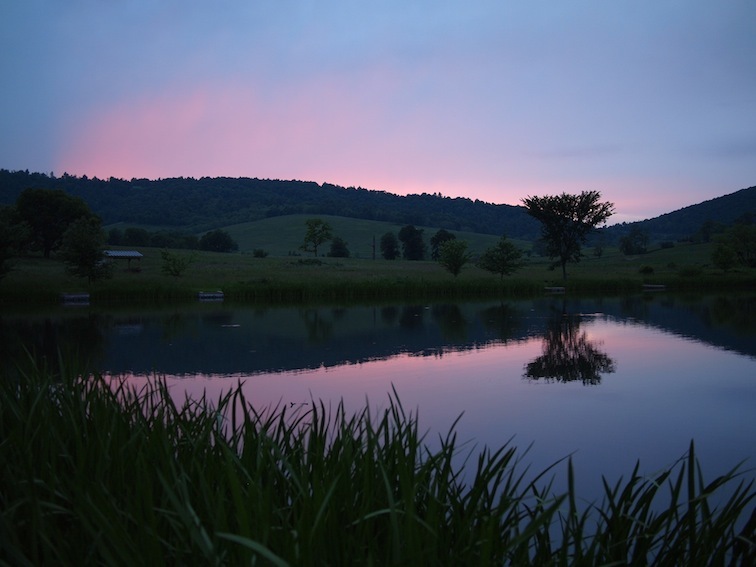 I brought my seven weight rod tonight looking for a shot at some of the catfish, bass or big crappie that prowl this water. I saw a couple catfish but had no takes with a bead head grizzly woolly bugger then a black rubber legged bugger. 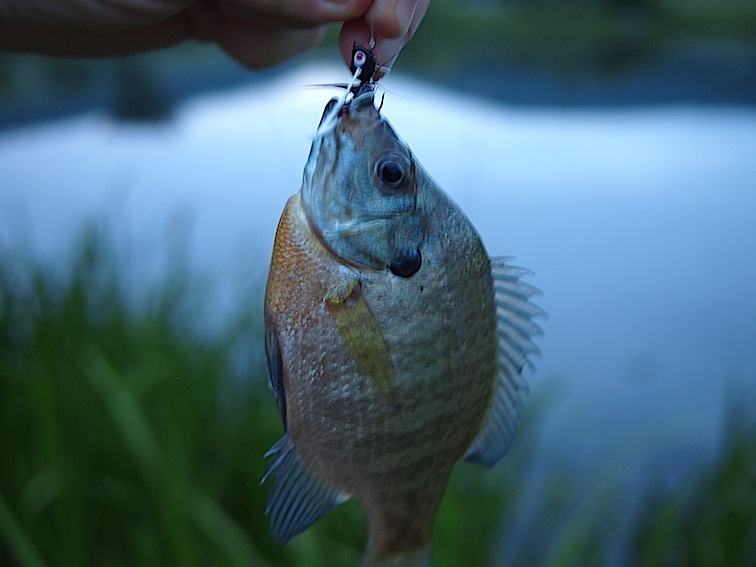 Broke out the poppers, though, and I ended up getting a mess of bluegills once the sun went down. They hit the black micro popper, over and over and over. A seven weight rod for bluegill, like I’m some sort of fishing terrorist. Like a howitzer for shooting squirrels. Like a — doesn’t matter. Just makes you grin.